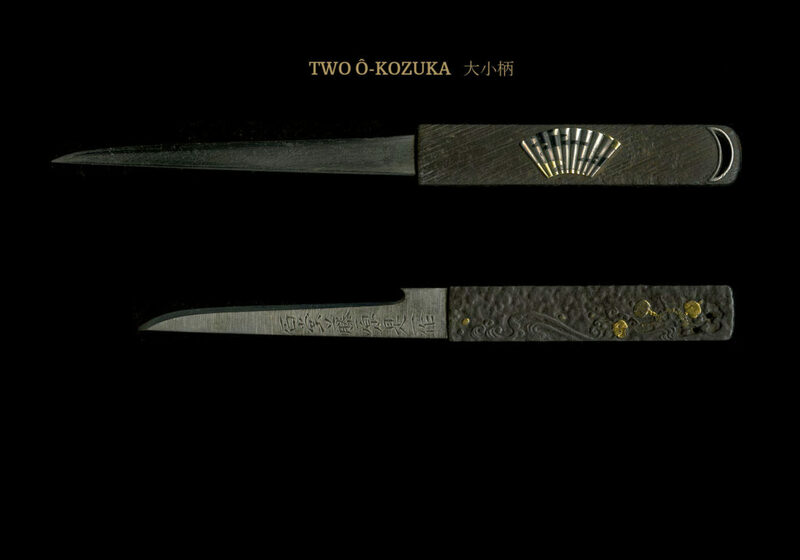 This is an iron ô-kozuka measuring 4 3/8 inches by 7/8 inches. 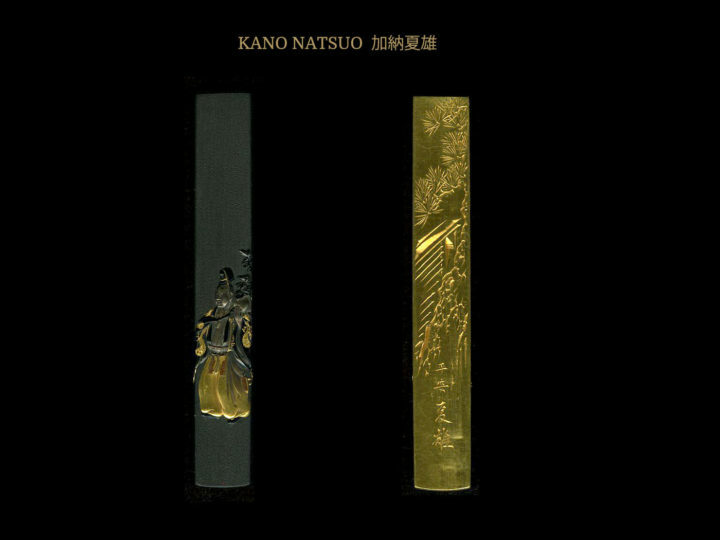 It has a crescent moon outlined in silver and a silver fan that is decorated with shakudo and gold clouds. 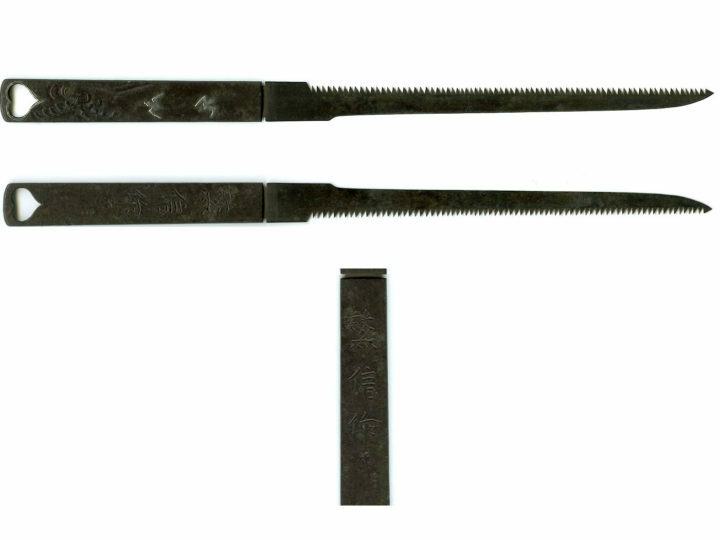 This is an ô-kozuka from the Jakushi school of fittings measuring 3 7/8 inches by 3/4 inches. 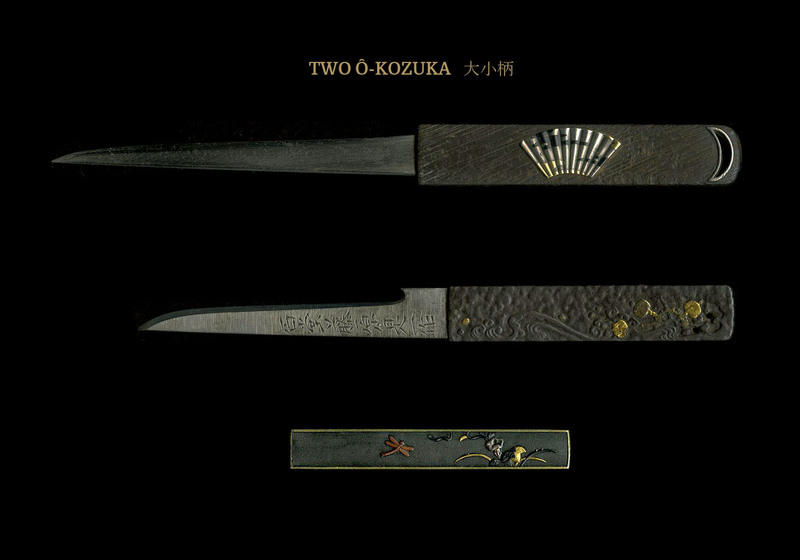 The ko-gatana blade is made by the famous smith, Korekazu. 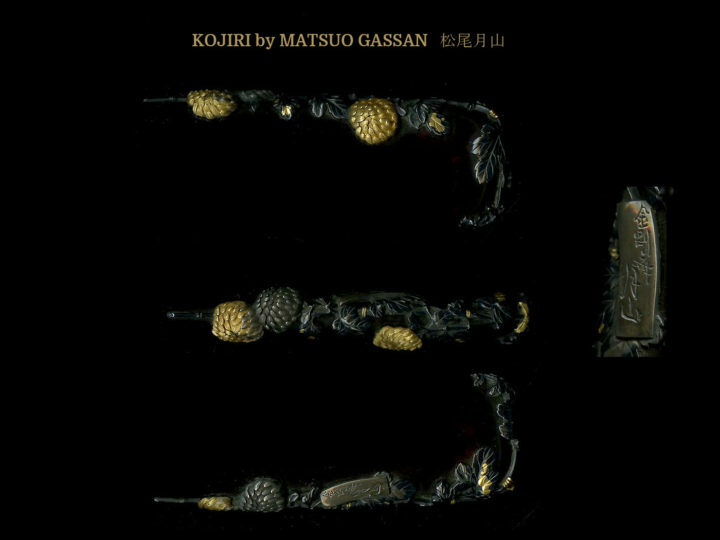 It is signed Ishidô Fujiwawa Korekazu Tsukuru 石堂藤原是一作. 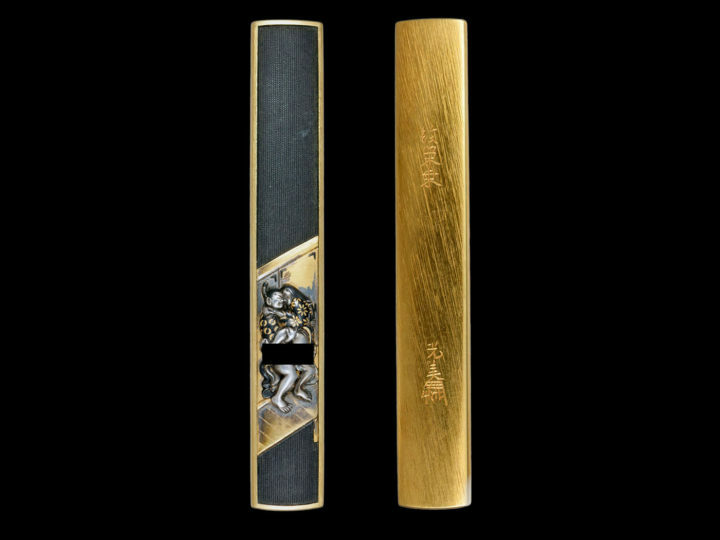 This is a normal sized kozuka used for a size comparison.